Seniors Class Photo, Graduating class of 2016. When posing full class photos remember that it’s something that they will want to keep forever. Your design should be classic and timeless. It should be something that they will look at in the years to come, and think of it as a great photo with all their friends. If you’re fortunate enough to have the contract for the official, whole class photo, it’s an ideal opportunity to tell the seniors that they can use you for their individual senior class photo too. Photographing teenagers can be challenging. It’s a good idea to have a meeting with a senior where you sit down and explain how it’s all going to work. Giving them some idea how it will work in advance means that they’ll be much more comfortable when they come to you for the shoot. It may be the first time they’ve ever had their portrait taken; they’ll be nervous and not sure what to do. This is where you can set them at their ease; give them some tips on what they can do to get the best out of their session. In the session, explain that they should bring appropriately coordinated outfits. Talk about what their style usually is, and advise them on the benefits of coordinating colors. Get them to bring several outfits and maybe some props to the session. 3 or 4 changes of clothes should give you enough to get some good shots. Props they might bring with them could include their musical instrument, sports kit / equipment, or anything associated with any other hobbies they may have. Allowing their personality to shine through your images is a key part of your job. Discuss what locations you might want to use for their shoot too. Places in your town that they might like to go, to spend time with their friends, and places that look good. Fall’s a great time to be taking senior photos, but the changeable weather can be a problem, so make sure you have a rain plan. In your session, you should also discuss what level of portrait retouching is acceptable. Teenagers will want to know that you can make them look good in your images. With PortraitPro, you can remove any unwanted acne, blemishes or marks, but still retain anything that might be a permanent part of the person’s features. This can add to the teenager’s confidence level in having their photo taken for the first time, knowing that whatever issues they might have at the time, won’t be a lasting memory. You can also remove stray hairs, remove red eye, and add catch lights. PortraitPro helps you get just the right amount of retouching. You can use the restore brush to bring back anything you wish to keep. You can keep everything as natural as possible, whilst eliminating what the person wants to remove. You should discuss what they can expect to receive from you at the end of the session. This can create a sense of anticipation for the products they receive. Let them know that you’ll also share a few sneak peak images on Facebook. Check out our Pinterest boards for more ideas. This entry was posted in Art in Photography, Earning a living from photography, High School photos, How to, Life Events and tagged Portrait editing, Portrait editing software, Portrait Photography, portrait retouching, PortraitPro, Professional photographer on 2015-09-08 by Briony. It’s important to write down your goals, and keep them somewhere you can look back on them regularly to see if you’re going in the right direction. There is a suggestion that those who write down their goals are more likely to achieve them. Focus on the positive, focus on the things that you do want, rather than the things you don’t want. There’s also a suggestion that thinking about the things that you don’t want to happen, will send you there anyway. What do you want to achieve with your business? Do you want to be the leading high school photographer in the area? Which area? How do you define your success terms? 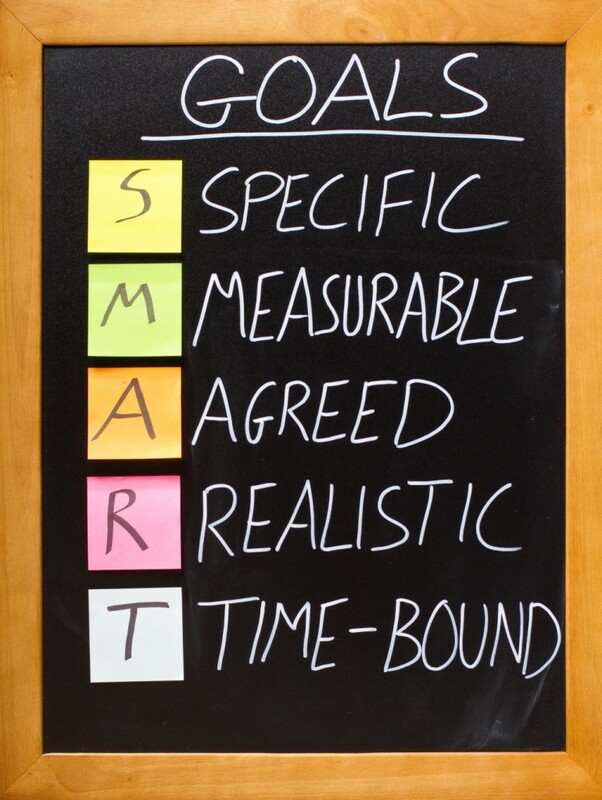 Setting goals should be SMART. Specific – Make your goals specific; you need to know what it is that you are going to achieve. Measurable – Have a method by which you will measure your success. It doesn’t have to be sales turnover, but it could be. How will you know when you’ve achieved your goal? Agreed – Agreeing it with your business partner will make sure you’re both on the same page, but if you’re your own boss, then writing it down will keep you focused too. Realistic – You can’t offer all things to all people, so don’t stretch yourself too thin. It’s better to have smaller goals and achieve them, and set a new one, than to never reach something because it’s too ambitious. Time Bound– Have a time frame in which to work. It’s also better to have set a goal and almost have got there by the deadline, than to have a deadline that’s so far away that you can put it off forever. Taking action now is the key to successful goal setting. Knowing where you want to go is important as it gives you an idea of where you might begin to take action to get there. If you want to increase your sales revenue as a portrait photographer, then one of the ways you might be able to achieve this is to spend less time in Photoshop. PortraitPro can help you spend less time in Photoshop by automatically retouching your portrait photographs. Having more time will mean that you can book more clients in the same working time, and generate more sales revenue from a wider customer base. Take action now; download a free trial of PortraitPro today! This entry was posted in Earning a living from photography, High School photos, How to, Life Events and tagged Business tips, Portrait editing software, Portrait Photography, portrait retouching, PortraitPro, pro photographer, Professional photographer on 2015-06-03 by Briony. It’s finally here. 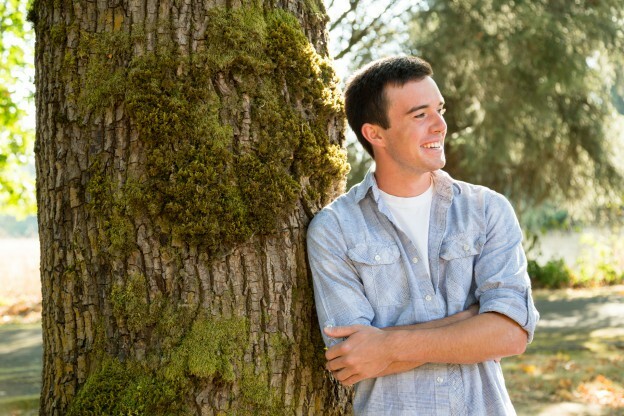 Graduation time is just around the corner, and whether your child is graduating high school or college, you’ll want to capture some memories that will last a lifetime. For a time that is an important landmark in anyone’s life, you want to have the best images that you can. You can hire a professional photographer to capture some images, and you can also take some yourself. ProtraitPro 12 Studio has a batch processing dialog that speeds up the processing of multiple images, meaning that you’re free to take as many photos as you like and the editing won’t keep you busy until Labor Day! You don’t need to be a professional photographer to use professional-standard photography software, and PortraitPro is affordable too. Your own images can have that professional-quality to them, with relatively small time and effort cost. You don’t need to be highly skilled in Photoshop, even those with very basic computer skills can use PortraitPro. With its easy –to-use and intuitive interface, even grandparents will be able to take lots of photos and do their own photo editing. If you’ve got a DSLR camera and you take images in RAW format, you can edit them in PortraitPro Studio. PortraitPro Studio edition functions as a plugin to Photoshop, Aperture, and Lightroom, so if you use these in your photo editing process, then you can still benefit from the speed and ease of using PortraitPro as a plugin to your other photography software. Download the PortraitPro Studio free trial today, and put your mind at rest that your images will be ones that will last a lifetime. This entry was posted in High School photos, Life Events and tagged Portrait editing, Portrait editing software, Portrait Photography, portrait retouching, PortraitPro, Professional photographer on 2015-05-14 by Briony.